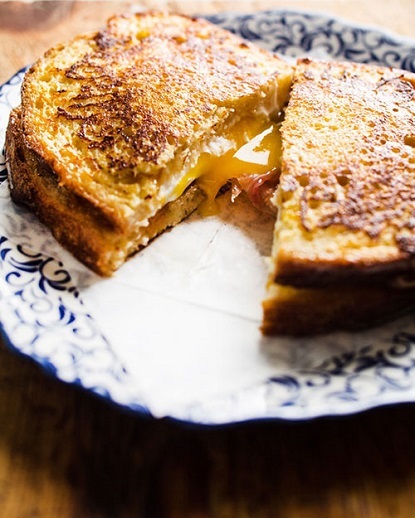 Yesterday morning Balazs wrapped up a huge translation job and after pulling an all-nighter and being utterly swamped, we skipped breakfast and made Lara’s Monte Cristo sandwich with fried eggs, goat cheese, apricot jam and prosciutto for an early lunch. 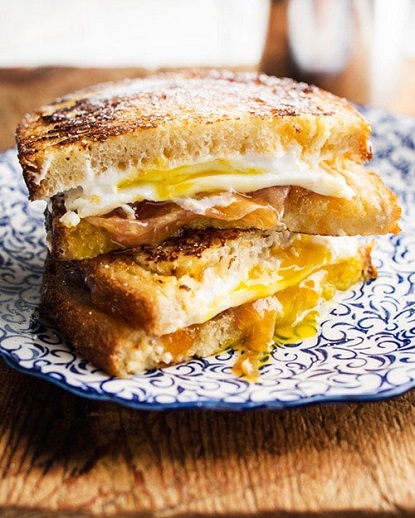 If you like eggs and goat cheese, you will love this sandwich. P.S. Fancy more: How about this, that and maybe ever this one? P.P.S: And a few more for a sweet tooth. I'm drooling just looking at it. Good heavens that looks all kinds of amazing. Yum!!!! Wow, what a cool sounding combination! I would never have thought of the final dip - it's like a luxurious, French toast sandwich! This combination sounds delicious Diana! Way to go! Will definitely give recipe a try! Oh wow! This looks deeeelicious!